The 2016 ALL ATX Concert featured The Doobie Brothers, Bob Schneider, and more. 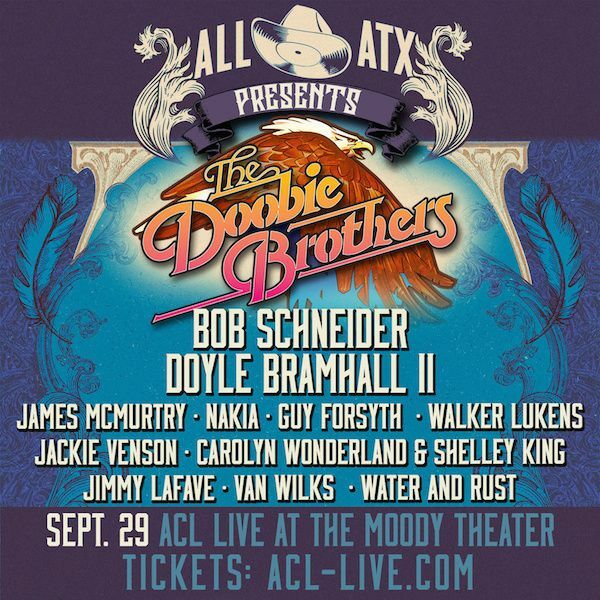 On September 29, 2016 at ACL Live at Moody Theater, The Doobie Brothers joined us along with Austin favorites: Bob Schneider, Doyle Bramhall II, James McMurtry, Nakia, Guy Forsyth, Walker Lukens, Jackie Venson, Carolyn Wonderland & Shelley King, Jimmy LaFave, Van Wilks, Water and Rust, and Danny Malone for the ALL ATX 2016 Showcase! The show and accompanying album are entitled Low Down Violet Crown: Austin Rocks the Blues. The album is available now on iTunes and at Waterloo Records. Thanks to everyone who came out and supported our amazing musicians. See you next year!